Dwarf beans are lower yielding, more difficult to hand pick and have a shorter bearing season than runner beans. Beans are a quick maturing crop but need considerable labour for picking, although dwarf beans can be machine harvested. 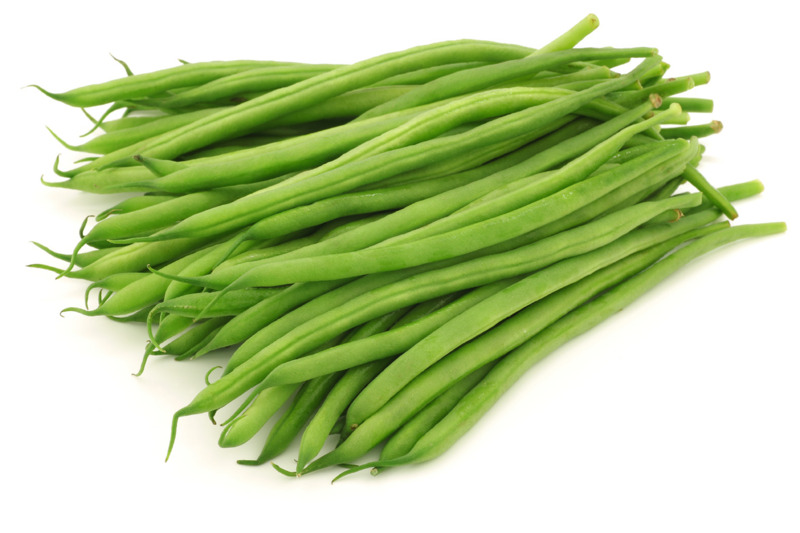 Beans (Phaseolus vulgaris) originated in Central America and belong to the pea (Fabaceae) family. They require warm temperatures for growth and yields. The immature pods are eaten as a fresh vegetable. 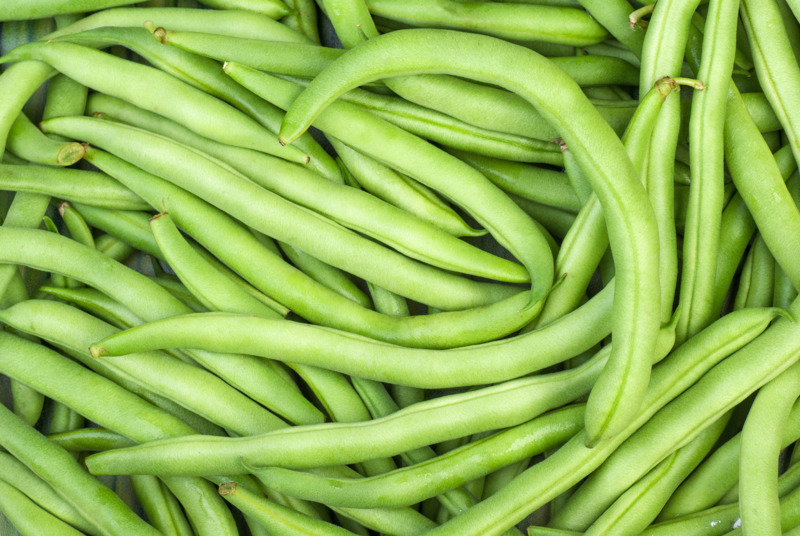 They contain good levels of carbohydrates, proteins, vitamin A and vitamin C.
Two types of fresh beans are grown, with production divided between the climbing or runner bean and the dwarf bean, which has a number of names, such as French, bush, snap or stringless beans. Dwarf beans are lower yielding, more difficult to pick and have a shorter bearing season than runner beans. However, dwarf beans do not require supports, have earlier maturity and are usually stringless and of good quality. They may also be harvested by machine. Beans are a quick maturing crop but need considerable labour for picking. The main production areas for runner beans are Carnarvon and Perth, with small areas in the south-west and Albany. The main growing area for dwarf beans is Gingin and Broome, where beans are harvested by machine. Dwarf beans are also harvested by hand in Perth and the South-West. Production occurs throughout the year and demand is highest in the cooler months. Fresh bean production has declined in recent years due to competition from frozen-packaged dwarf beans. Other types of beans, such as butter beans, are grown in small quantities. Italian or borlotti beans are grown for the mature seeds that are used in soups and stews. Mung beans are grown under hydroponic-type conditions for their sprouts, which are used in salads. Use well drained, uncompacted soils with a pHCa of 5.5 to 7.0. Apply lime at 2.5 to 5.0t/ha at least three months before planting if the pHCa is less than 5.3. Beans are very sensitive to high salt levels. High salinity causes a scorch on the edge of the leaves, yellowish leaves and poor growth. The soil should have a low salinity with an EC25 (1:5) less than 15mS/m. Beans may also be affected by high boron levels in the irrigation water and/or soil. Toxicity symptoms include yellowish leaves and small, crinkled pods. Beans have a lower salt tolerance than most vegetable crops. The salinity of the irrigation water should be less than 100mS/m (550mg/L total salts) for highest yields and quality. Optimum air temperatures for good yields and quality are 16°C to 30°C. A frost-free period of 120 days is required. 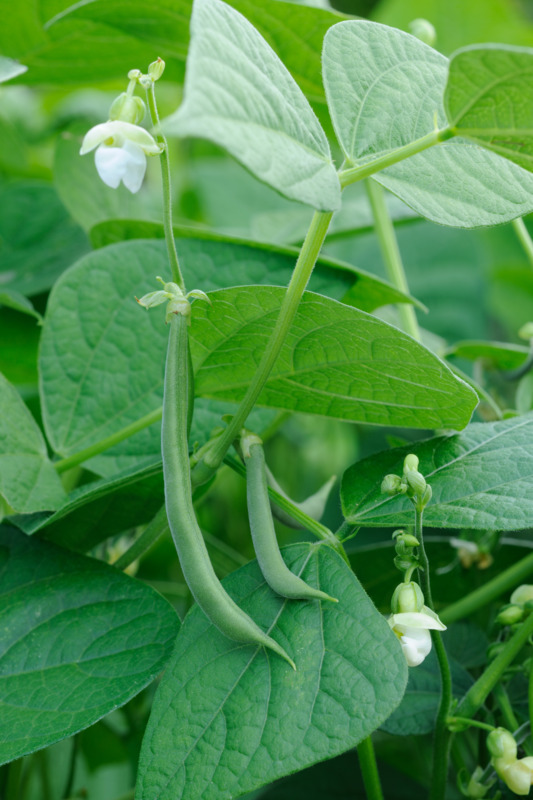 Where temperatures exceed 35°C, pollination of flowers may be poor and beans may be short, flat and curled with many second grade and reject beans. Temperatures below 10°C during flowering and pod setting may result in curling and russetting of pods. The optimum soil temperature for germination is 24°C, with a minimum of 15°C and a maximum of 35°C. Plant beans in a sheltered area. Winds damage leaves and destroy flowers, and pods are deformed when they rub against supports, leaves and stems.